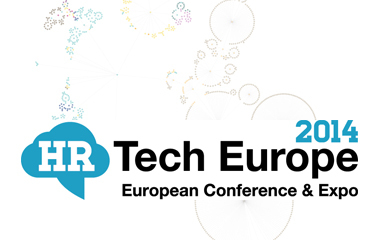 David McCandless spoke at the HR Tech Europe conference in Amsterdam in October 2014 on “HR Information is Beautiful”. David, you are right!! There is so much to be done with HR data. Is there a spin on the title? Well, we’d always encourage you to call it People data, because we believe you should always seek to combine the data that HR has with the data that the rest of the business holds. People data can’t sit in isolation. You have to connect HR activity with business value to get business insight. And just to check… Is there something new here? Why has People data not been made to look beautiful before? We think something is different. Until now, there has been a big difference between a one-off visualisation (such as an infographic for a newspaper) and an operational report. People data for operational reporting has to be presented in standard formats so that it can be produced again and again each month. HR teams don’t have the time to tweak every org chart or scatter diagram so charts & graphs tend to be simple and therefore rather dull. What’s new recently has been the development of methods to deal flexibly and automatically with data. But let’s step back, and ask a few fundamental questions. There has been extensive research highlighting the power of visual stimuli. Effective use of visuals can decrease learning time, improve understanding, and increase the retention of information. As an HR professional you have some seriously good data at your fingertips from your HR system to employee reviews and exit interviews. The challenge is turning that data into outcomes. If you can present data in a striking, and impactful way you are far more likely to gain traction and have an impact. How do you make data beautiful? This is actually the wrong question, the question should be; how do you have an impact and ensure data leads to outcomes!? As Stephen Few argues on his blog, data is not just about beauty. There also has to be meaning behind the visualisation, not simply a superficial impact. Data tells a story, and you need to do that story justice. Know what messages you are trying to communicate and use your visualisations as illustrations. It’s all about choosing the right chart for the right data and putting them in a logical order. Make the magic really happen by thinking about the little things. For example, what colours are you using? Can you alter shapes to emphasise the message? (See a nice blog by Harvard Business Review on using colours to make data easier to read). The key is to be able to deal flexibly with your data. Your visualisations have to adapt their layout of information to make it intelligible and beautiful. Ideally they should be both zoom-able to an infinite degree in a file size small enough to be printable. These two don’t exactly fit easily together, but it can be done and something we have spent a lot of time reconciling! How will beautiful data impact you? By playing with data visually you will make your life so much more enjoyable. Colourful images are a lot more exciting and satisfying than a row of excel tables! The chart below shows same data as in the table, but shows the span of control of the organisation, coloured by performance. In contrast to the table it is beautiful, striking, and easy to interpret. 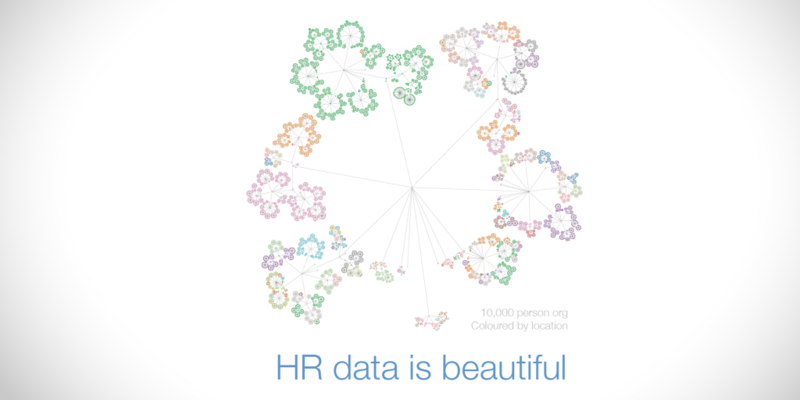 By making your people data beautiful you will achieve more, and enjoy the process as you go. Visualise your people data in the beautiful chart below. With just a few properties from your people data we will show you your organisation like you have never seen before! Simply email info@orgvue.com and quote “Beautiful Data” in the subject heading. Meier, D. (2000). The accelerated learning handbook. NY: McGraw-Hill. Patton, W. W. (1991). Opening students’ eyes: Visual learning theory in the Socratic classroom. Law and Psychology Review, 15, 1-18. Schacter, D.L. (1966). Searching for memory. NY: Basic Books. Verdi, M. P., Johnson, J. T., Stock, W. A., Kulhavy, R. W., Whitman-Ahern, P. (1997). Organized spatial displays and texts: Effects of presentation order and display type on learning outcomes. Journal of ExperimentalEducation, 65, 303-317.